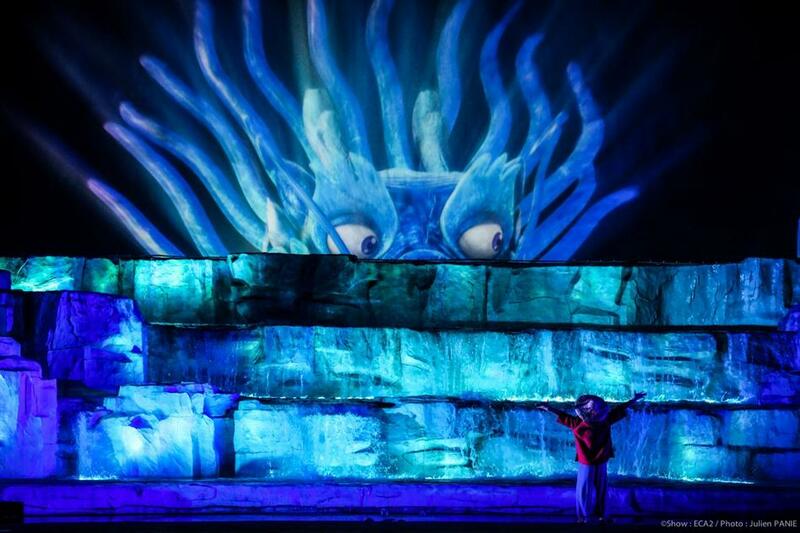 ECA2 is a France-based creator and producer of the world's most renowned spectacular multimedia shows. Universally recognized for its highly skilled teams, ECA2 has built an envied reputation in mounting worldwide ceremonies, and the most varied spectrum of events. The BIG-O Experience, the most successful show of the Yeosu Expo 2012, has been transformed into a permanent show with new surprises.? This new immersive multimedia show, the “BIG-O Experience – Wonderful Moonkey” offers even more content – fountains, flames, lighting and lasers over 45 minutes (instead of 15 minutes), making for an even more amazing show. A small octopus called Moonkey plays different musical genres such as pop, rock, electronic and world music with innovative special effects… ?The spirit of the Yeosu Expo 2012 lives on with this spectacular nighttime show and we are proud of the giant BIG-O structure that will stay as symbolic landmark and the signature show in Yeosu and as permanent show that will continue to amaze audiences.